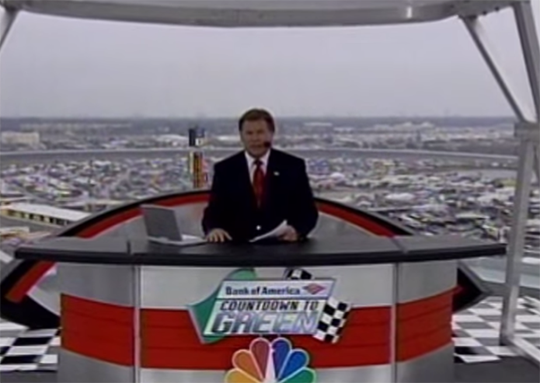 As NBC Sports prepares to take the green flag on its return to NASCAR coverage, we look back at its previous trackside set design. Prior to 2001, NASCAR’s TV contracts relied on individual tracks, leading to a mishmash of broadcasts across multiple networks. 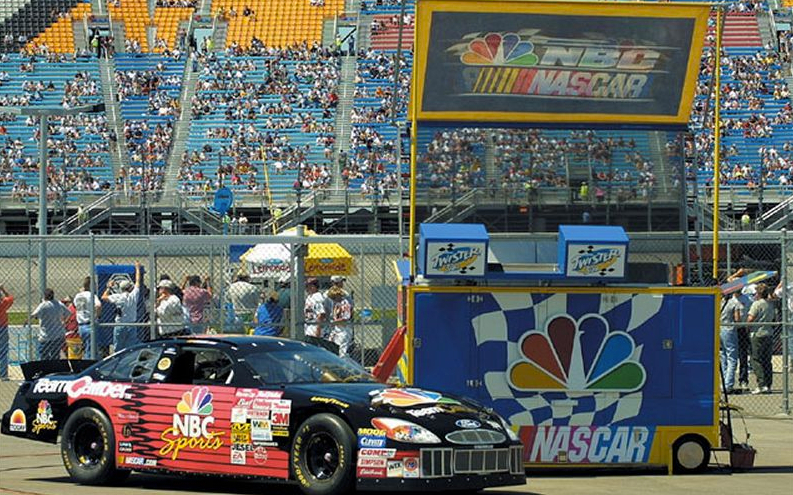 In 2001, NASCAR began its first-ever unified broadcast package, which saw races on Fox, FX, NBC and TNT. With this change, the networks broadcasting the stretch of the races invested heavily, using covers of popular music for themes and having large traveling setups. 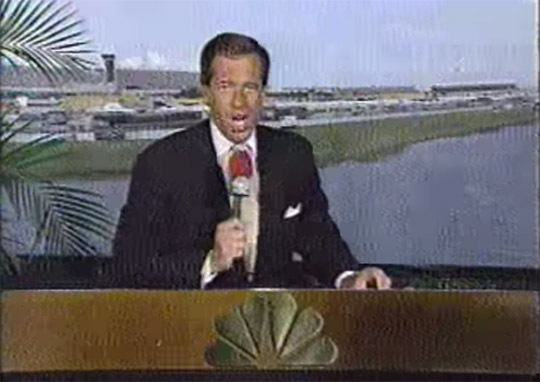 Before the unified contract, NBC’s coverage included some familiar faces trackside, including Brian Williams as the presenting host. As NBC began it’s last multi-year deal to carry NASCAR, they invested in a small traveling studio, dubbed the “War Wagon,” a reference to the term used by pit crews for their tool chest on pit road. The wagon was situated “smack in the middle of the action,” according to Sam Flood, who directed NBC’s coverage then and now. Guests would join NASCAR on NBC pre-race host Bill Weber to talk about the race during the coverages “Countdown to Green” program, with the set providing updates during the broadcast. The wagon lasted until Bill Weber became play-by-play announcer and transitioned to the press box. With Weber’s new roll, NBC went with a portable studio that was often erected on top of the tracks press box. In this location, Weber was often not joined by guests. 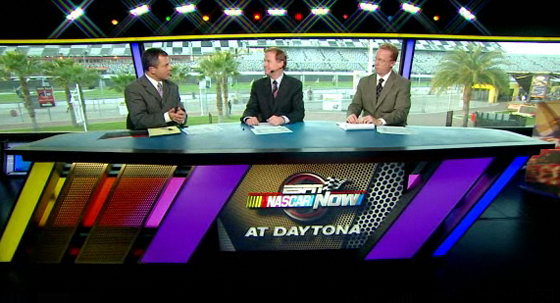 This set was used until 2007, when NBC lost its NASCAR contract, passing the coverage to ABC/ESPN. Built on a flatbed truck, the set could rotate 360 degrees from seven feet in the air, creating an ever changing background for the broadcast. Similar to NBC’s coverage, this setup was used for pre and post-race coverage. ESPN went with a similar setup, using a mobile studio built in a tractor trailer that raised into the air. 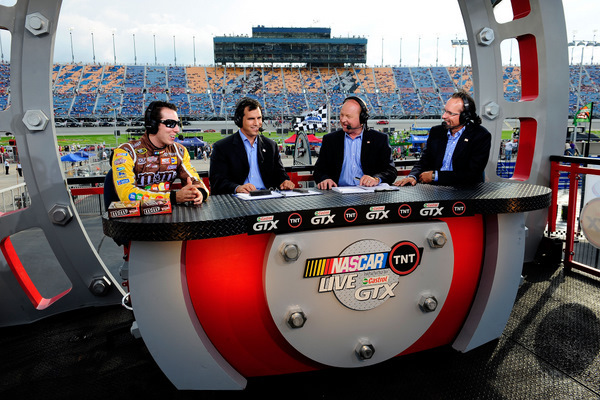 Fox, since 2001, has used a tractor trailer based studio that travels to each of its races. NASCAR returns to NBC Sports this weekend from Daytona International Speedway, marking the beginning of deal that lasts until 2024. 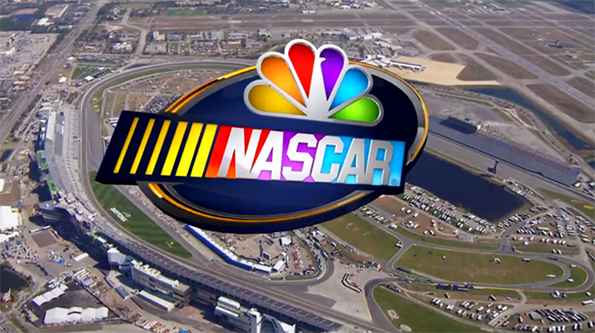 NBC’s broadcast will features a large lineup of talent and a new state-of-the-art trackside studio that will return to the center of the action.